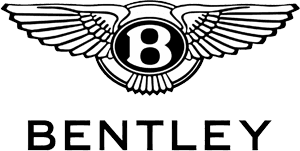 With a hugely positive reception for Bentley’s GT3 racer at this year’s Goodwood Festival of Speed, and the success of the model in the Blancpain series, the luxury manufacturer is planning further performance vehicles. The Bentley Mulsanne saloon looks set to be the next in line to receive a power upgrade, and its reveal could happen at the Paris Motor Show in October. Speaking at the Goodwood Festival of Speed, the brand’s CEO Wolfgang Dürheimer noted “We will see Mulsanne developments at motor shows in 2014.”, and given the development timeframe, France is the likely location. The Mulsanne will retain its existing 6.75-litre twin-turbo V8 engine, and a power boost from 505bhp to 550bhp is expected. This should translate to a 0-60mph sprint time of under five seconds, a remarkable feat for a car that weighs over two tonnes. Weight-saving measures are anticipated for a more responsive drive, and revisions to the chassis are also probable. A more potent Mulsanne and the GT3 help to underline the manufacturer’s status as a luxury sporting brand, while furthering the significant growth enjoyed recently. The first Bentley SUV is currently under development, pushing the carmaker’s annual production from 10,000 units to 15,000. To take a sophisticated Bentley vehicle for a test drive and discover the full line-up, contact Charles Hurst in Belfast today.